Born in Bicester, Oxfordshire the son of a butcher, Rose studied at the Central School of Speech and Drama. After graduation, he was briefly a farmer and secretary. After wartime service and studies at Oxford, he made his Old Vic stage debut in 1946. Rose made his screen debut in Midnight Frolics in 1949 and went on to make more than 30 films. Notable film credits include The Pickwick Papers (1952), Track the Man Down (1955), A Night to Remember (1958), The Flesh and the Fiends (1959), Hawaii (1966), and A New Leaf (1971). Rose starred in the 1975 television series Beacon Hill, an Americanised version of Upstairs, Downstairs. Other television credits include Naked City, Trials of O'Brien, the mini-series Holocaust (1978), and several appearances on the Hallmark Hall of Fame. ^ a b c d Alix Kirsta (25 May 1997). "The Killing of Mr. George". The Sunday Times. Retrieved 7 June 2008. ^ a b Andrew L. Yarrow (6 May 1988). "George Rose, 68, Broadway Star And Winner of 2 Tonys, Is Dead; A Versatile Perennial". New York Times. Retrieved 5 July 2018. ^ a b c Stevens, Christopher (2010). Born Brilliant: The Life Of Kenneth Williams. John Murray. p. 380. ISBN 978-1-84854-195-5. ^ The Broadway League. "The Kingfisher | IBDB: The official source for Broadway Information". ibdb.com. Retrieved 11 December 2014. ^ "George Rose Biography". filmreference. 2008. Retrieved 7 June 2008. ^ a b Dennis Hevesi (13 May 1988). "Dominican Police Say 4 Men Killed George Rose". New York Times. Retrieved 5 July 2018. ^ Smith, Tim. "Talent, ignoble end of actor George Rose recalled in new play at Signature Theatre". baltimoresun.com. Retrieved 17 October 2017. Sir John Anthony Quayle, was an English actor and theatre director. He was nominated for an Oscar and a Golden Globe for his supporting role as Thomas Wolsey in the 1969 film Anne of the Thousand Days, and played important roles in such major studio productions as The Guns of Navarone (1961), Lawrence of Arabia (1962), The Fall of the Roman Empire (1964), Operation Crossbow (1965), QB VII (1974), and The Eagle Has Landed (1976). Quayle was knighted in the 1985 New Years Honours List. 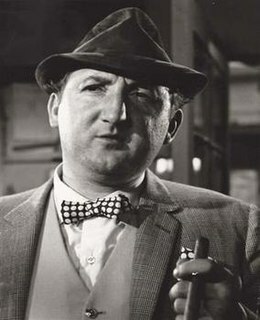 Ronald Fraser was an English-born Scottish character actor, who appeared in numerous British plays, films and television shows from the 1950s to the 1990s. An unusual appearance and unique delivery made him a natural comedic actor. Fraser was a familiar figure in West End clubs during the sixties, and despite a long-standing reputation as one of the hardest drinking of British actors he was still working in his last years. He was perhaps best known as Basil "Badger" Allenby-Johnson in the 1970s television series The Misfit. 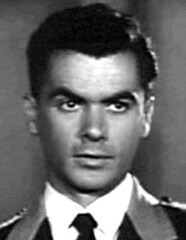 Edward Binns was an American stage, film and television actor. He had a wide-spanning career in film and television, often portraying competent, hard working and purposeful characters in his various roles. Arthur Edward Spence Hill was a Canadian actor best known for appearances in British and American theatre, films, and television. He attended the University of British Columbia and continued his acting studies in Seattle, Washington. Horace Raymond Huntley was an English actor who appeared in dozens of British films from the 1930s to the 1970s. He also appeared in the ITV period drama Upstairs, Downstairs as the pragmatic family solicitor Sir Geoffrey Dillon. Phillip Pine was an American film and television actor, writer, director, and producer. Despite incorrect biographical information repeated on many entertainment sites, Phillip Pine was not related to Robert Pine or Chris Pine. He was a regular presence in television and movies from the 1950s to the 1980s. He played both hero, villain, and sympathetic supporting characters throughout his career. Malcolm MacLeod Atterbury was an American stage, film, and television actor, and vaudevillian. Nusyn "Ned" Glass was a Polish-born American character actor who appeared in more than eighty films and on television more than one hundred times, frequently playing nervous, cowardly, or deceitful characters. Short and bald, with a slight hunch to his shoulders, he was immediately recognizable by his distinct appearance, his nasal voice, and his pronounced New York City accent.